The Forest retreat has its own personality, set high and bounded by towering trees, with glorious valley views across to the adjacent national park. Architecturally designed and magnificently appointed, the Forest retreat let you take full advantage of nature seriously at your doorstep. Home theatre style lounge with 55 inch wall mounted plasma television, surround sound, DVD / CD player. Dual basins and pure rainwater, the best water you can experience! Surround sound, robes and a range of toiletries, handmade for Chandeliers on Abbey. Overlooks glorious valley views across to the adjacent National Park. 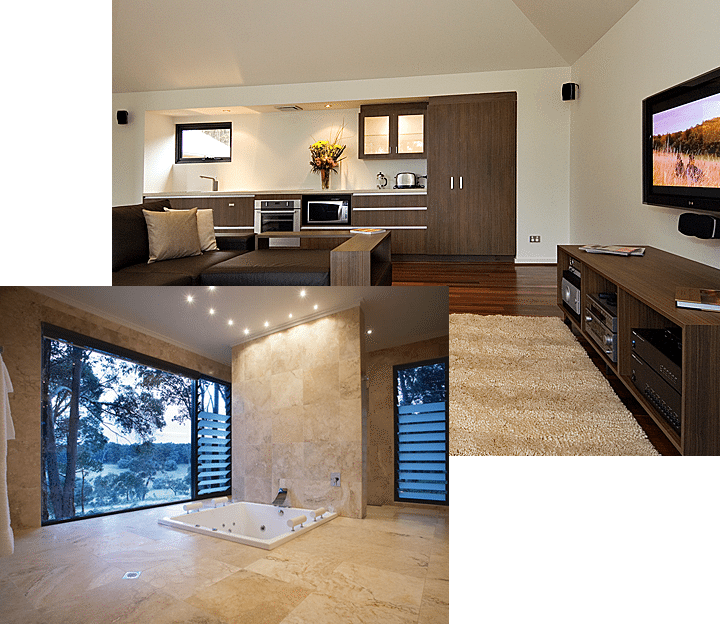 Breath in, exhale, breath in, exhale, repeat,… from $415 per night the Forest retreat will take your breath away.